What is it about train travel? Is it the romance, the relaxed atmosphere, or the simplicity of just watching the scenery go by? We think it’s all of those, and then some. On a recent journey from Paris to London, we experienced one of the most modern and fast ways to travel from the continent to the British Isles. 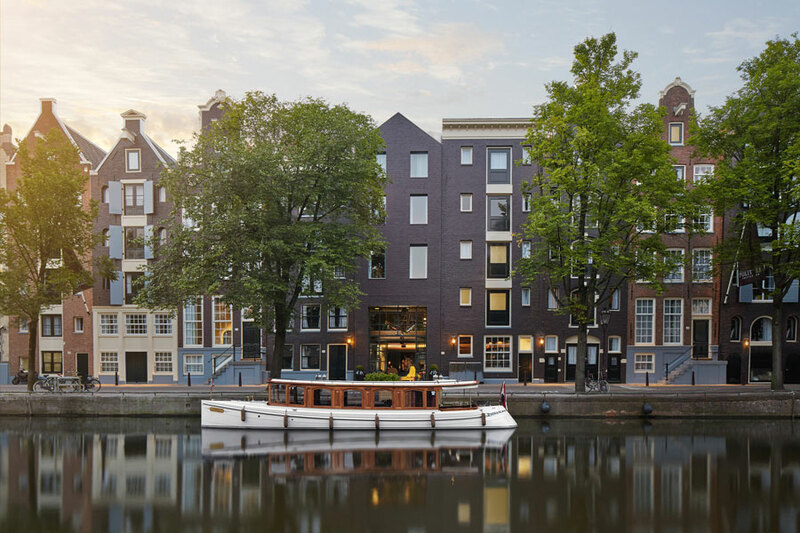 From one belle capital to another grand one, these cities have so much to offer, and getting there like so many Europeans do, makes us feel like we’re living like locals. Splurge on business premier class, and start with use of the premier ticket gate and shorter line-ups through customs and, of course, a visit to the business class lounge. 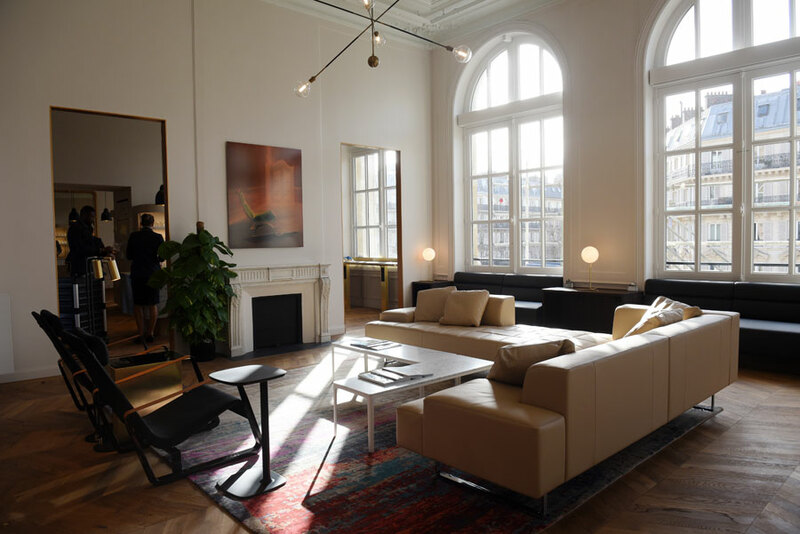 In Paris, you’ll feel like you’ve just dropped in on your très chic friend’s place in the 10th arrondissement just above the storied Gare du Nord. Wait, you are above the Gare du Nord, taking in the street views of Paris life from the floor to ceiling windows. A bartender is at your service, and snacks and treats, depending on what time of day it is, are ready for the tasting. Once on board, the real relaxation begins. The trip really is only a couple of hours. At some points, the scenes outside the windows are a blur, but a blur of lovely European countryside. Service begins with the drinks cart, naturally, and bubbles are included. There’s a limited menu but what’s on the carte has been created by none other than Raymond Blanc, the French chef that’s made his real mark in England with his 2 Michelin-starred hotel/restaurant, Le Manoir aux Quat’ Saisons, in Oxfordshire, and his recipes he developed in partnership with London, England’s famed Kew Gardens. But along with all of this, here’s why it makes sense to travel this way: First, no bag fees. You can take two bags on board and a handbag. 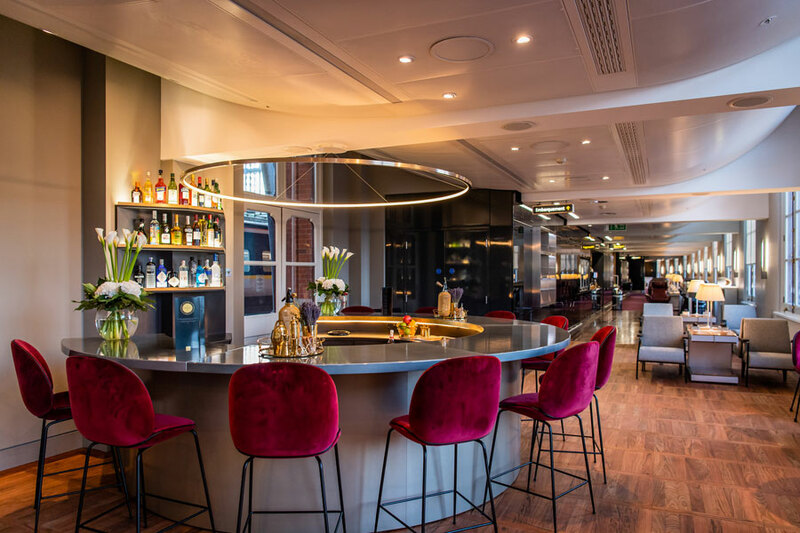 Second, you only have to check in 30 minutes prior to departure (but come early and enjoy the business premier lounges); third, you leave from the heart of one city, in this case, Paris’ Gare du Nord, and arrive at the heart of another – London’s St Pancras station. Oh, and there’s free wifi, too. And if you’re keen to reduce your carbon footprint, Eurostar also is one of the greenest methods of getting around. 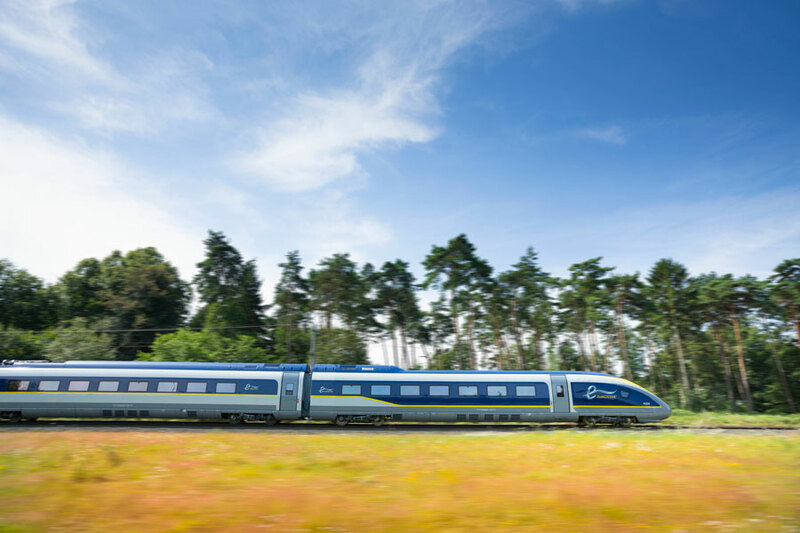 According to the company, a Eurostar journey from London to Amsterdam, for example, emits 80 per cent less carbon than the equivalent short haul flight making it a clear choice for the future of travel in Europe. But Eurostar has gone beyond just Paris to London and back. Now, you can board in London and ride the rails to Amsterdam, or Brussels, or even Marseille, in the south of France. 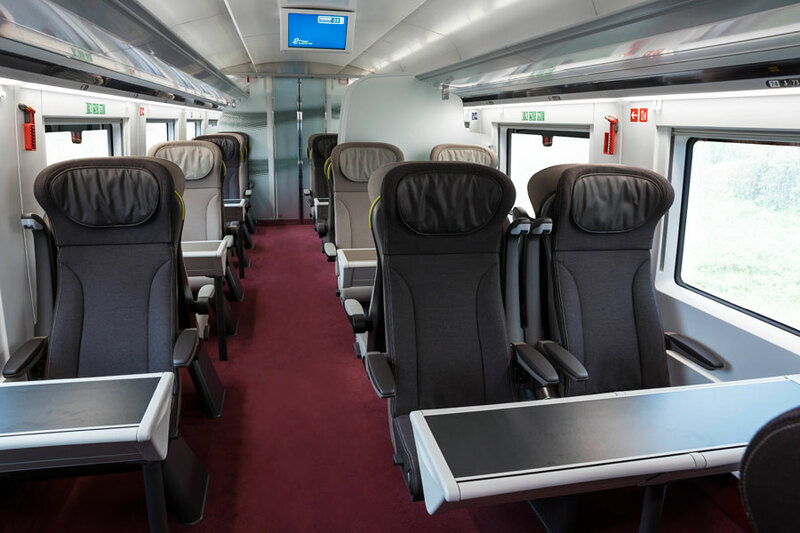 Most recently, Eurostar has launched a partnership with an exclusive range of hotels – for every budget – where prices include the train travel, making the journey even easier and more accessible, in all the cities to which the trains travel. “We’ve created the new platform to engage with our passengers on more than just their journey,” says Roberto Abbondio, Eurostar managing director of new digital business, “bringing our destinations to life with a range of accommodation and experiences that can be selected to suit their individual needs, to create the ideal trip.When booking, you can even match your travel interests – say culinary, or relaxation, or even budget – to your dates, allowing for a more tailored experience.